On May 17, 2016, the Department of Labor (DOL) issued new overtime rules that will greatly impact most U.S. employers. The highly anticipated changes increase the salary threshold for employees who can be classified as exempt or “salaried” – and are therefore not eligible for overtime. The minimum salary more than doubled from $455/week ($23,660 annually) to $913/week ($47,476 annually). The DOL estimates more than 4 million workers who are currently exempt could become eligible for overtime under these latest regulations. Although the changes are putting employers on high alert, there’s some good news. The regulations become effective December 1, 2016, which is a much more generous timeline than the typical 60 days for compliance. Plus, it’s possible the changes will be challenged in the courts or even delayed – something our legal team will monitor closely in the coming weeks. Obviously, this will require a careful review of your salaried employees’ hours and your payroll budget. 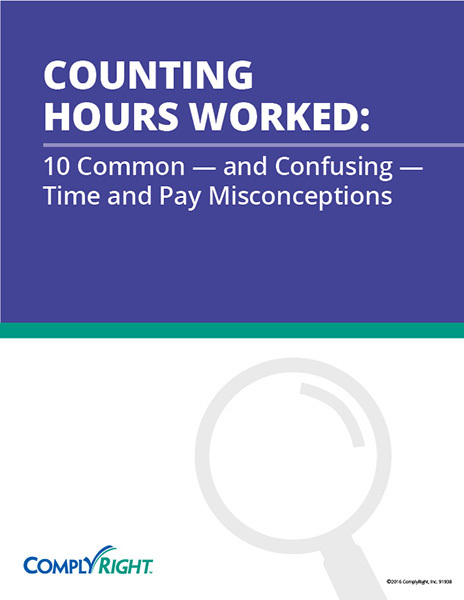 While in some cases it may be best to boost salaries that are close to the threshold to avoid overtime issues altogether, in other cases you may want to reclassify employees as hourly and closely track their hours to control overtime costs. Once you’ve made these reclassification decisions, you’ll need to properly document all payroll status changes. It’s also important to put together a communication plan to inform management and employees about the new rules and their impact on the workplace. Finally, timekeeping training should be conducted for employees going from salary to hourly – and for supervisors who will have the responsibility of approving overtime and timesheets. If you’re like most employers, you have a lot of questions about the new rules. ComplyRight can help you work through the requirements and best practices. Watch our complimentary webinar – DOL Announces New Overtime Rules: What You Need to Know (and Do) to Comply – for an overview of the latest developments and what they mean for your business. Employment law attorney, Ashley H. Kaplan, Esq. 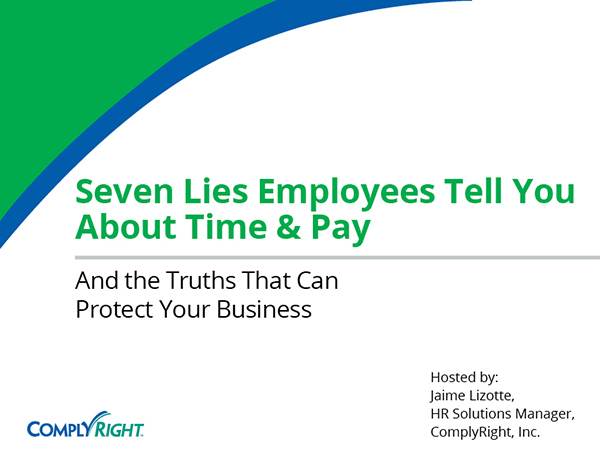 explains the changes and the proper, legal steps you need to take in your workplace. In addition, ComplyRight has created product solutions to simplify how you communicate and implement these changes. Click here to learn more about these solutions so you’ll have all the tools you need to comply with the new overtime changes by the deadline.